Watch this video featuring these amazing kids overcoming adversity! Our Texas event and gala were a huge success this year. We had fifteen celebrities attend and raised donations through our live and interactive auction. Mountain Man from the hit TV series Duck Dynasty participated in our fishing event and gala. He was able to help us promote the event and is best known for his slow talking and one liners which the kids loved. We were honored by the appearance and participation in the tournament of the following celebrities: Gary Yamamoto, Jimmy Houston, Keith Combs, Alton Jones, Alton Jones Jr., Ray Hanselman, T-Roy Broussard, Roland Martin, Bill Wilcox, Jay Yelas, Kelly Jordan, James Niggemeyer, Mountain Man, and Wade Middleton. The impact the C.A.S.T. for Kids program has had on so many children’s and families’ life is amazing and inspiring to see. If you were unable to attend our event, you still have the opportunity to make a difference in a child’s life by donating today. At C.A.S.T. 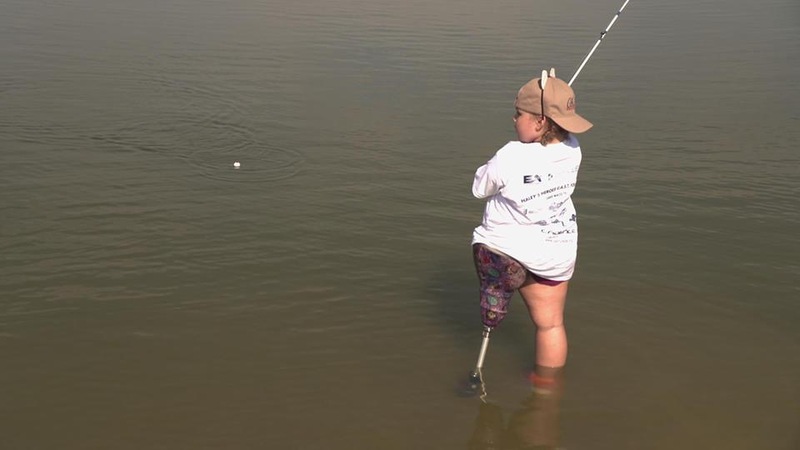 for Kids, we believe in empowering all kids to catch a special thrill by taking them on a fun-filled day of fishing, celebrating them as loved and valuable, and encouraging them to believe anything is possible. Our program has been proven to enrich the lives of children with special needs by hosting events that prove children with disabilities can accomplish anything! Our events allow them to enjoy a unique fishing and boating event, one where they can leave their cares on shore and feel “normal” for a day. The events have many lasting benefits. The kids feel genuinely loved, valued and accepted by their community, and are celebrated as winners at our awards ceremony. We’ve seen tremendous positive improvements in growing their social skills and overcoming behavioral issues through their interactions at events with community volunteers and children of similar disabilities. Encouraging the kids with a team-oriented approach, the CAST for Kids Foundation has enhanced the lives of over 120,000 kids over the last 3 decades. I have a 23′ bay boat and would love to take some kids fishing. I live in San Antonio but would also consider a coastal trip. Thanks Rich for your comment. We’d love to have your help at one of our events. Our Western Regional Director, Jim, will be reaching out to you soon.